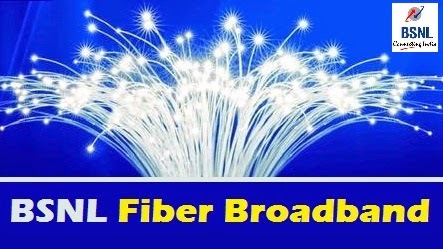 BSNL introduces new Fiber Broadband plan for the Gram Panchayats coming under the NOFN (National Optical Fiber Network) project. The new plan comes at a monthly rental of Rs.7225 with unlimited downloads at flat speed of 10Mbps without any FUP. There will not be any security deposits for this plan and there are options for advance payment with discounted rental charges. 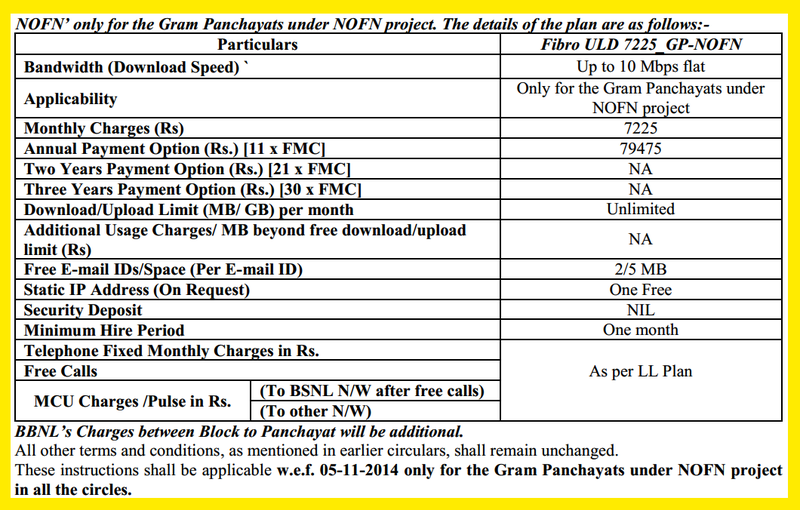 This new Fiber Broadband plan will be available in all the telecom circles in India from 05-11-2014. Free Calls and Call rates will be as per the existing Landline plan. One Static IP is also Free with this plan. Whether Government can implement their dream project - Digital India through our National Telecom backbone - BSNL? Whether the bandwidth 10Mbps is sufficient to provide the Free WiFi facility through Gram Panchayats?